There's a small corner of the restaurant world where food is art and the plate is just as exquisite as the mouthful. The tiny community of farmers who grow vegetables for the elite chefs prize creativity, too, not just in what they grow but in how they grow it. 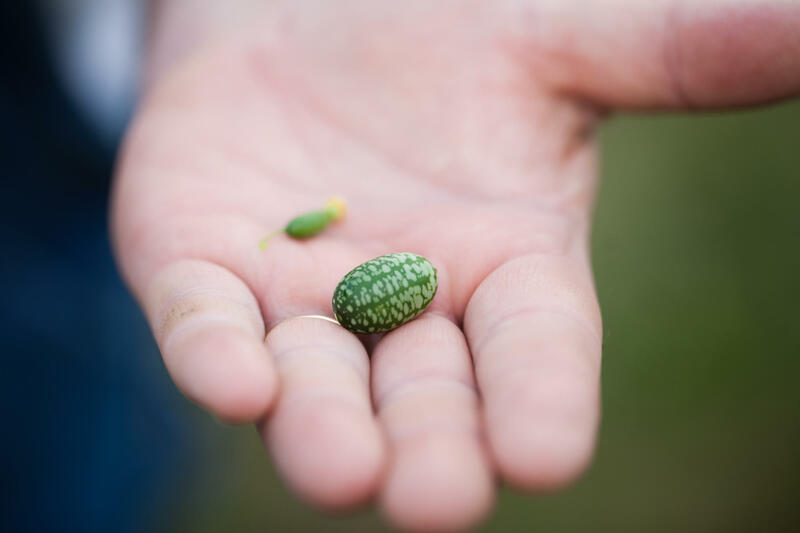 They're seeking perfection, in vegetable form and flavor, like this tiny cucumber that looks like a watermelon — called a cucamelon. The Chef's Garden is a specialty vegetable farm in Huron, Ohio, about an hour west of Cleveland. It's a family farm, where three generations of the Jones family work side by side with about 175 employees. It's a place where vegetables are scrupulously selected and then painstakingly coaxed from the ground. This farm produces an extraordinary selection of vegetable varieties, ranging from the familiar to the exotic, like the cucamelon. In the summer, they can offer chefs 80 varieties of tomatoes. 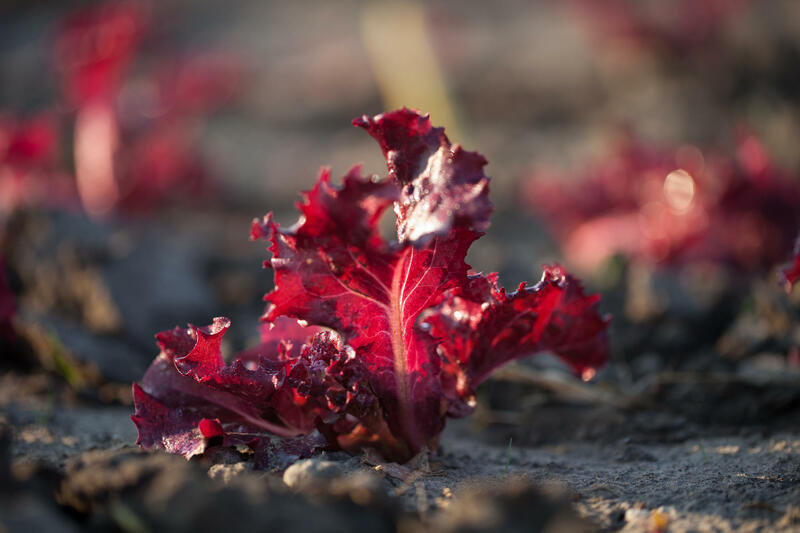 Through the year, they're growing more than a dozen kinds of lettuce of different textures and colors, like Merlot, in their greenhouses. "What we're trying to do is offer new colors of paint to the chef. It's not just about color ... it's flavor and texture. It needs to taste good, and if it doesn't it has no place," says Lee Jones, who runs Chef's Garden with his father and brother. One of their customers was a food writer in Cleveland desperate to find the squash blossoms she'd tasted in France and couldn't find in America. So they went back to the zucchini patch and picked some for her. She was ecstatic, and they began to realize there were unmet needs in the world of fine dining. It wasn't too long before the Joneses began to get connected to chefs around the country — people like Alain Ducasse, Daniel Boulud, Charlie Trotter and Thomas Keller. The great French chef Jean-Louis Palladin at the Watergate in Washington, D.C., told them, " 'Your food is s*** in America,' " Lee recalls. In particular, he was talking about the vegetables. And he told them they could seize the opportunity to grow vegetables to the standards of chefs like him. There's a movement now of farmers like the Joneses who "really aspire to be the best, where it's not a commodity anymore — it's actually about the process that will result in something extraordinary," says Chef Thomas Keller. 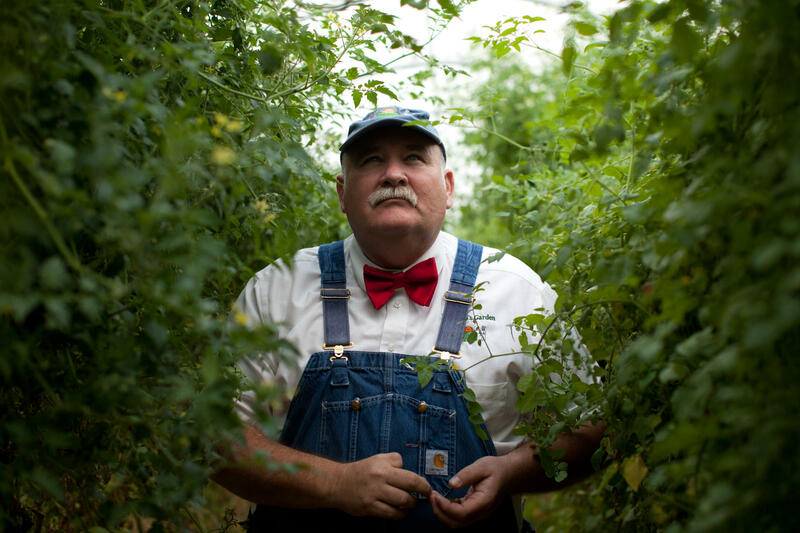 "When we find a new crop, we have two years before [other farmers] start to copy us," says Bob Jones Sr., Lee's father and the patriarch of Chef's Garden. "If you don't have good soil, you have nothing," says Bob. But they've dedicated themselves to improving it by resting the soil and adding nutrients to deepen the layer of topsoil year after year. "If you would talk to the farmers around here, they think we're crazy. They think we're absolutely ready for the loony bin," says Bob, "because we do things so much different." Rotating crops and cover cropping this way is one of the secrets to the vegetables' distinctive flavor, Bob says. "We didn't discover any of these — we're uncovering, rediscovering, reintroducing. 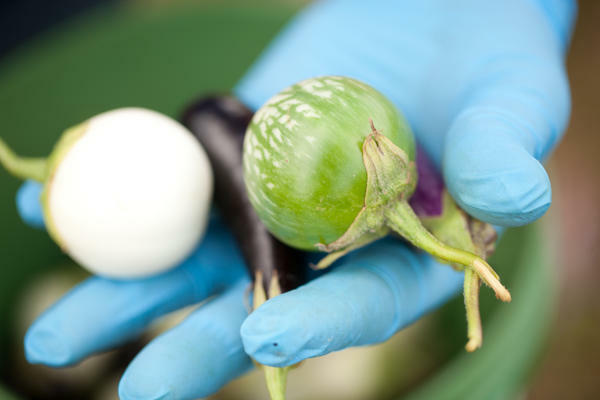 There's thousands of species of eggplant out there to be explored," says Lee. 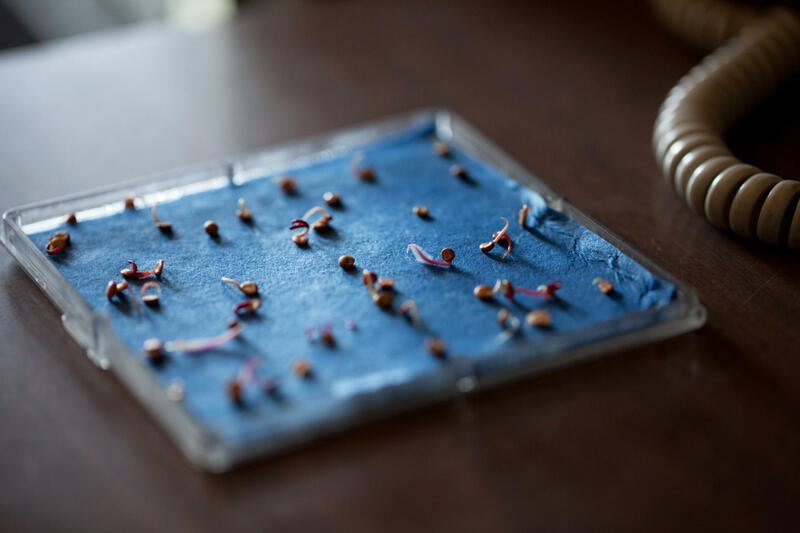 They check every batch for their germination rate to try to ensure they're putting only the seeds most likely to succeed in the ground. "All this comes down to getting dependable production. We can't get to February and say, 'Aw, Chef, we can't do it because the seed wouldn't germinate.' That doesn't work," says Bob. There's a whole lab at Chef's Garden with a small staff dedicated to monitoring and measuring the seeds and the soil. It's just one branch of Chef's Garden's highly specialized staff, focused on different aspects of quality control. 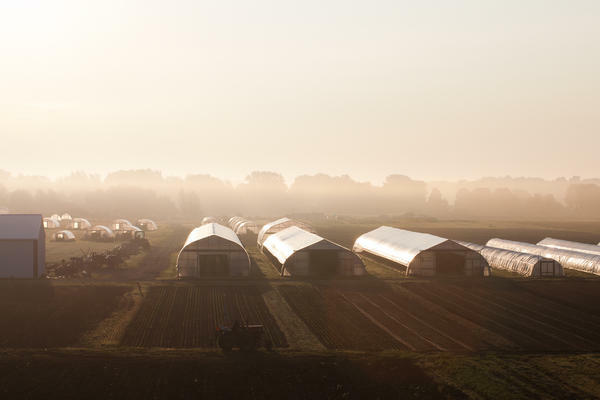 All together, they give this farm an unusual ratio of workers to acres: about one person per half-acre. Chefs ask for miniature versions of their favorites because when they're small, they pack more flavor and make for stunning garnishes. And picking these crops is labor-intensive. Since there are so many stages in a plant's life, the farm has developed an eight-stage, patented set of sizes, including micro, petite, young, flowering and seeded. Some vegetables come in every single size. "At every single stage of the plant's life, it offers something unique to the plate. We've learned how to look at that plant in a way that says, 'Why not?' " says Lee. 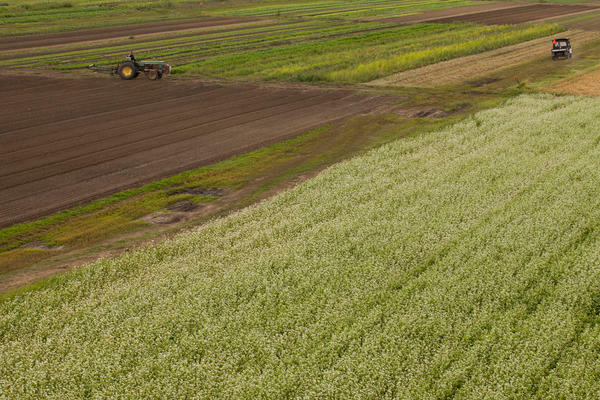 The precise moment the crops are picked also matters if they're going to be perfect. 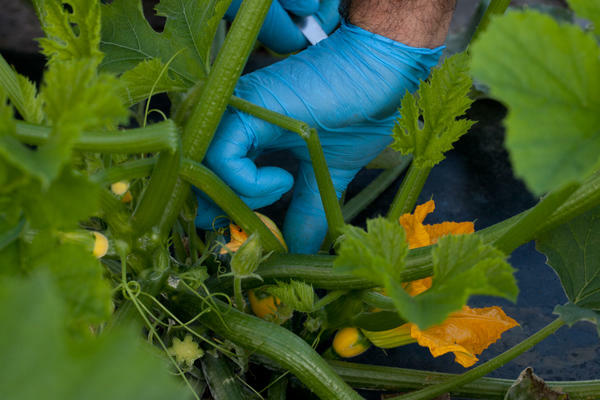 Take, for example, the squash blossoms, which are harvested during a narrow hour-and-a-half window in the early morning. "You're trying to walk past those ones that are waning, if you will, and pick that one that's right today, in this particular moment, in this particular hour, the perfect squash bloom, so that it can go onto the plate and blow the guest away of that chef," says Lee. By the time the vegetables reach the packing room, they're treated like jewels. Bob Jones Jr., Lee's brother, oversees this stage, where lettuce rosettes are carefully packed with insulation. If the box is filled with tomatoes, it's fitted with foam padding. In the summer, ice packs go into the boxes to keep the vegetables cold if they're headed to hot locales. 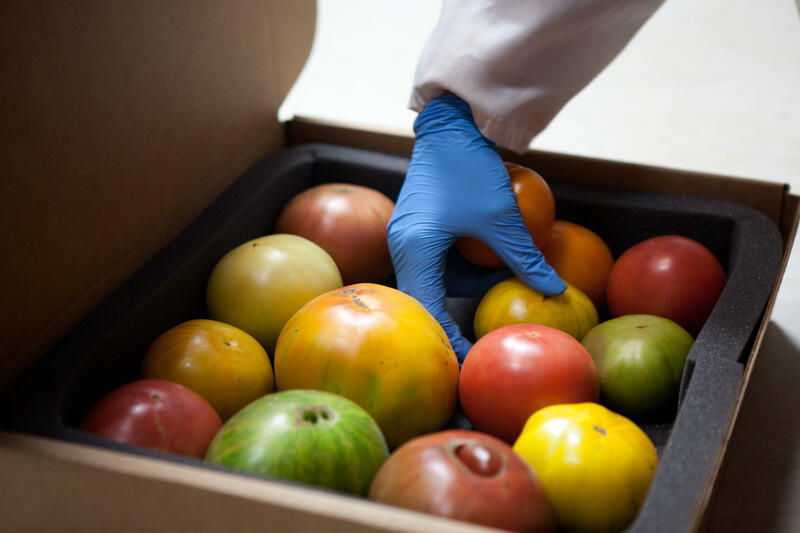 Shipping vegetables from Ohio to California or New York or Florida means these vegetables most certainly won't be local once they reach diners. They'll have quite a few additional greenhouse gas emissions attached to them, too. And if you're buying this precious produce, it will, of course, cost you. The Joneses say their costs are probably 2.5 times as great as a regular production system's, where every acre is farmed every year. A two-pound box of lettuce from Chef's Garden goes for about $24. "If we're not willing to pay for the extraordinary ingredients, then we're not going to have the extraordinary ingredients," says Chef Thomas Keller. Chef's Garden is starting to sell directly to consumers via mail order. And Lee is hopeful about this new frontier for the business. "We know in the U.S. there's a movement toward more healthy and fresh vegetables, so we're trying to anticipate that and be ready for it. The chefs we work with can drive those trends. It is a trickle-down effect," says Lee. This has been a special multimedia project of NPR's food blog, The Salt. Now, my neighborhood grocery store in Washington, D.C. was pretty much ransacked over the weekend. Photographers even came to document the empty shelves before the storm ever hit. Maybe that was panic, or maybe people just anticipated time at home to cook. You have opportunity on a snowy weekend. So let's take a moment talking about food. We're going to report on a new way of food preparation. Some of the farmers who supply raw material for cooking have become as creative as chefs. The Chef's Garden is a specialty vegetable farm about an hour west of Cleveland, Ohio run by three generations of the Jones family. Eliza Barclay of NPR's food blog, The Salt, recently visited there. 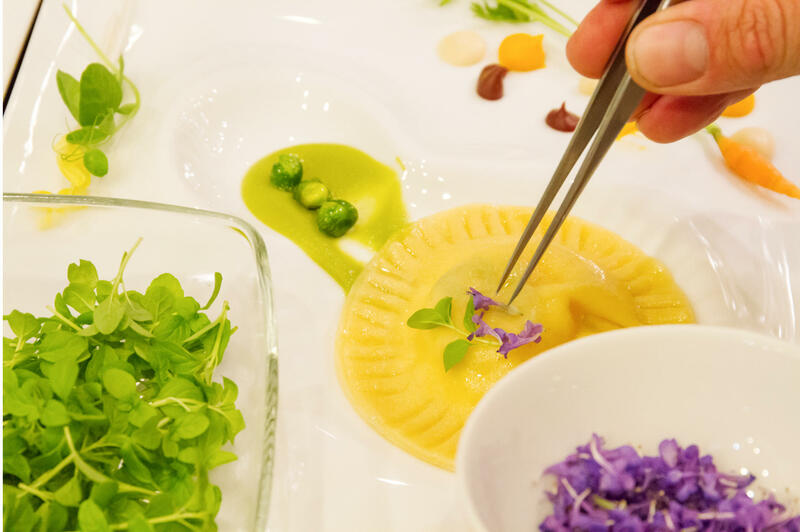 ELIZA BARCLAY, BYLINE: The office of Chef's Garden is like a creative workshop where chefs call in from kitchens around the world to brainstorm with sales reps like Dawn Krieg. One of her regulars is chef Daniel Humm at 11 Madison Park in New York. DAWN KRIEG: They're starting their menu testing right now, and so Danny emailed this morning. And he said, you know, I'm getting ready to put some spinaches on the menu. Can you give me a sample of all the spinaches? BARCLAY: So Krieg suggested some new ones he might like. KRIEG: We have got the petite New Zealand, the petite red malabar, the simply red, the petite green spinach, the petite tropical spinach and then the purple spinach leaves. So he's got a lot of choices. BARCLAY: Chefs often ask for miniature versions of their favorite vegetables. When they're small, they pack more flavor, and can make for stunning garnishes. And Lee Jones, who runs Chef's Garden with his father and brother, is happy to oblige. He shows me a tiny eggplant. LEE JONES: It's the shape of a pea, literally the size of a pea. Look at the color on this, literally, the fruit-orange-colored orange. Want to taste one? Lee, like the chefs, is always looking for surprising varieties. He tries out the latest seeds from plant breeders and combs through dusty agricultural books. This year, he started planting a sugar snap pea with an extra curly tendril. L. JONES: What we're trying to do is offer new colors of paint to the chef. Now, color, it's not about just about color. It's flavor and texture. It needs to taste good. And if it doesn't, it has no place. BARCLAY: Back when Lee was a kid, his family grew ordinary vegetables. Then in 1983, they went bankrupt and lost almost all their land. All they could do with what was left was supply the local farmers market. One of their customers was a food writer in Cleveland desperate to find squash blossoms. So they went back to the zucchini patch and picked some for her. She was ecstatic, and they began to realize there was an opportunity in the world of fine dining. 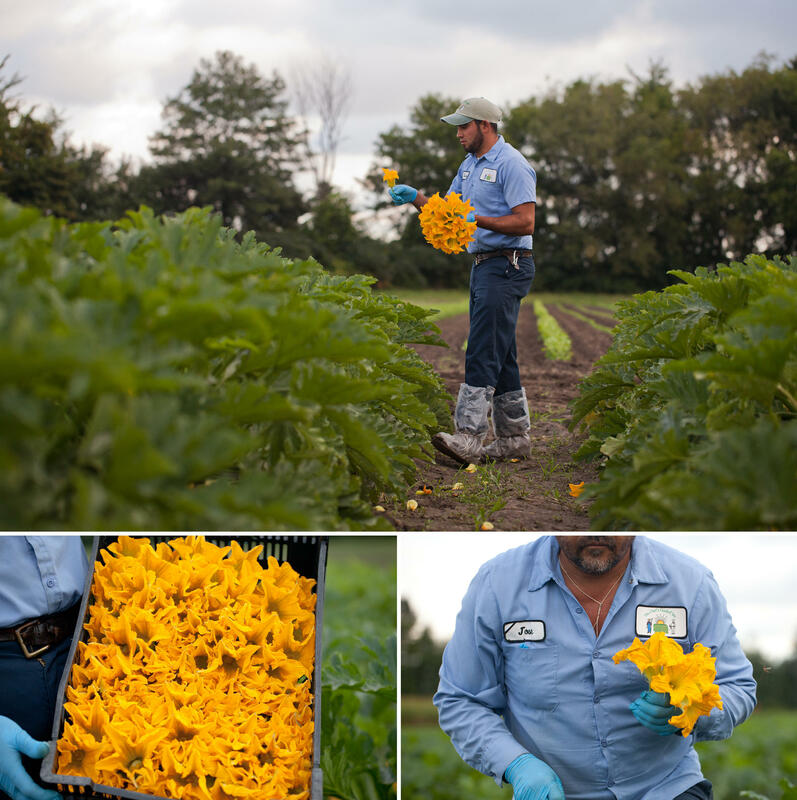 They're still growing those squash blossoms, and like everything on this farm, they're grown to order. L. JONES: Good morning, guys. UNIDENTIFIED MAN #1: Good morning. BARCLAY: It's 7 a.m., and Lee is dressed as he always is, in blue overalls and a red bow tie. The sun is coming up over the field, and the flowers are beginning to open. But not every blossom is going to make the cut. L. JONES: You're trying to walk past those ones that are waning, if you will, and pick that one that's ripe today, in this particular moment, in this particular hour - the perfect squash bloom - so that it can go on to the plate and blow the guest away of that chef. There's an art to it. This not commercial farming. We're an artisan farm. BARCLAY: That attention to detail flows through every step of the process, starting with how the Joneses sort nearly every seed by hand. 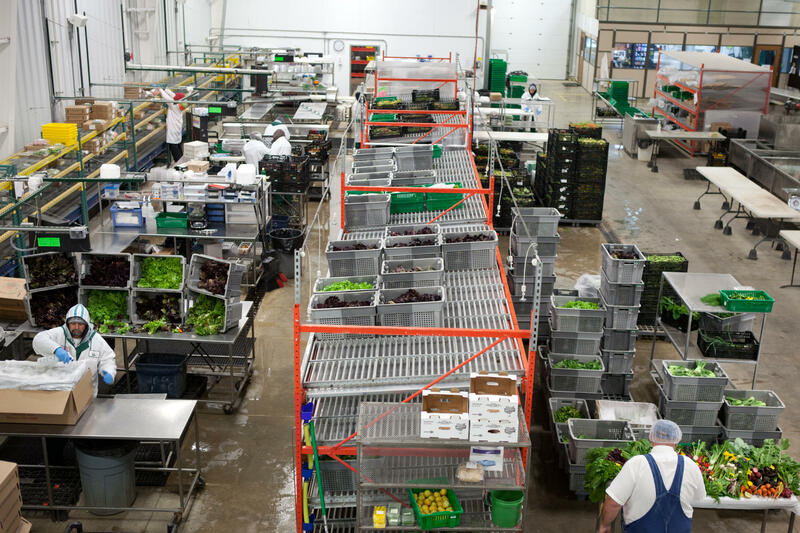 By the time the vegetables reach the packing room, they're treated like precious jewels. 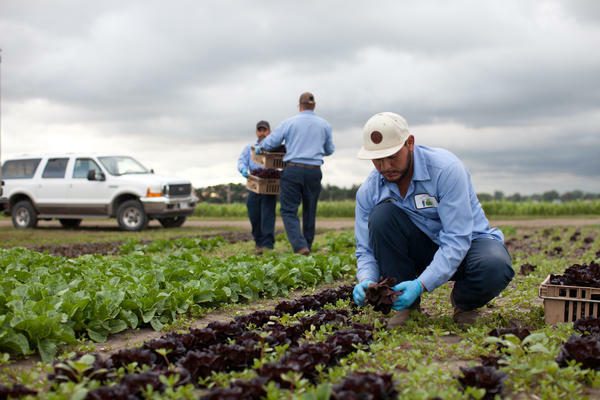 BOB JONES JR.: Jorge (ph) is packing lettuce for an order going out yet this afternoon. He's packing some smaller 2-pound boxes for one restaurant and then a larger 20-pound box here, bulk pack. BARCLAY: Bob Jones is Lee's brother. He oversees the shipping room, where lettuce rosettes the color of merlot are carefully packed with insulation. 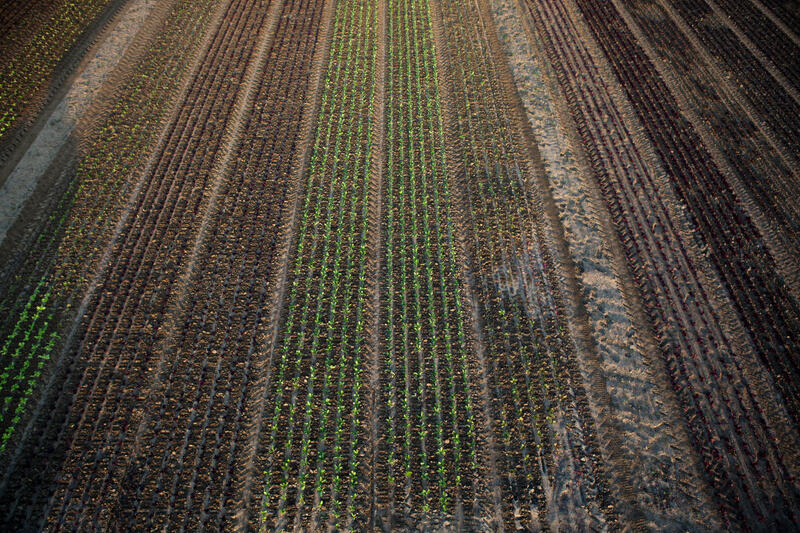 Nearly all of the vegetables that leave here reach kitchens within a day of coming out of the ground. That ground is the responsibility of Bob Jones Sr. He's the patriarch of this family operation and has been working the land nearly all of his 75 years. B. JONES SR.: If you don't have good soil, you have nothing. BARCLAY: And actually, Bob Sr. doesn't just want good soil. He wants spectacular soil. And the way to get it is by only planting one-third of the land at any one time. The remaining 200 acres are sown with cover crops that put nutrients back into the soil. B. JONES SR.: If you would talk to most of the farmers around here, they think we're crazy. They think we're absolutely ready for the loony bin because we do things so much different. BARCLAY: He wants to show off how deep his topsoil is. So he goes and gets his bulldozer. 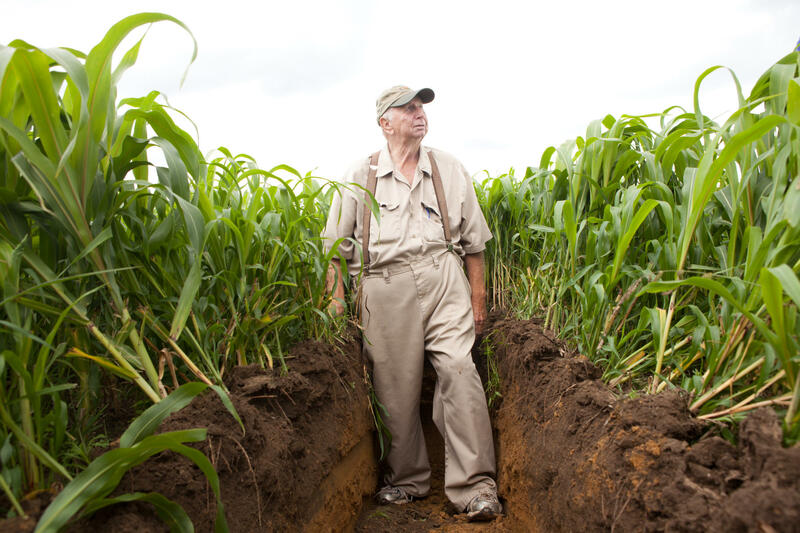 B. JONES SR.: As you can see, we've got about a foot of topsoil here, which is fantastic. That's built up over the years. BARCLAY: It's far from a conventional way to make money farming. But chefs are more than willing to pay for the exquisite vegetables that will come out of this soil next year. A 2-pound box of lettuce goes for about $24. And these vegetables aren't just for chefs anymore. Chef's Garden is starting to sell directly to consumers. Eliza Barclay, NPR News. Transcript provided by NPR, Copyright NPR.